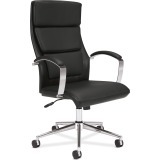 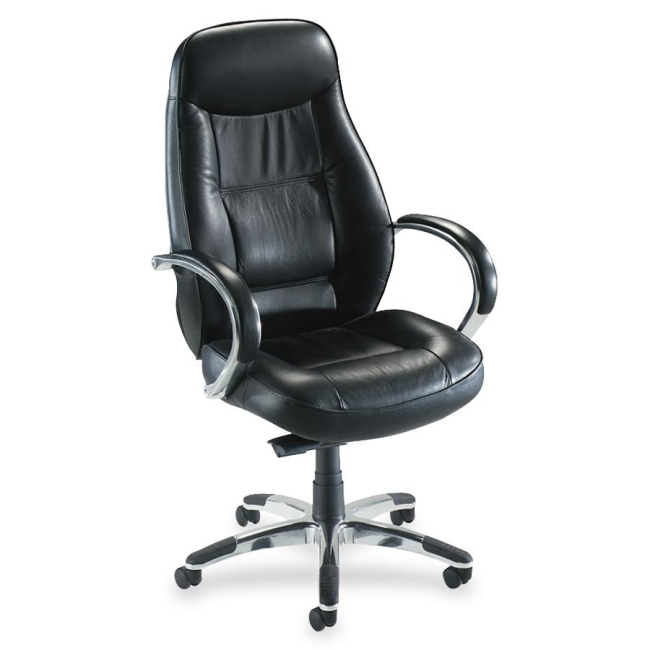 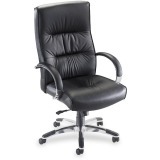 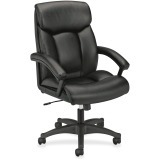 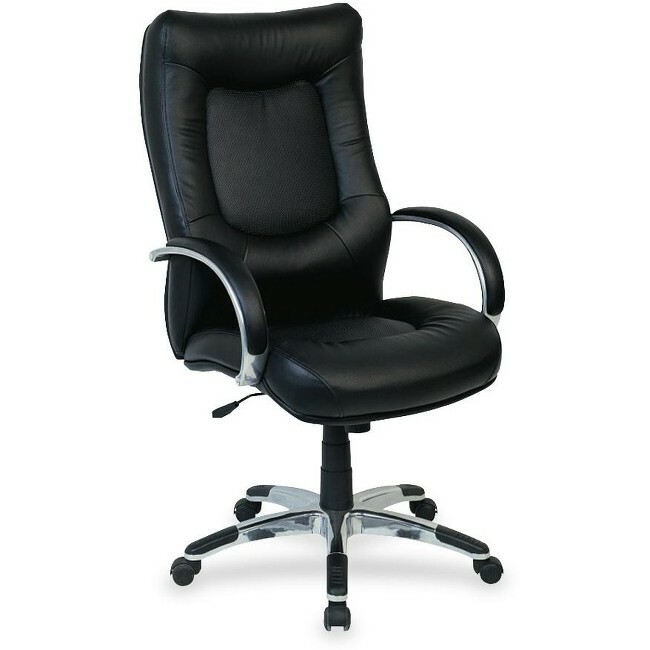 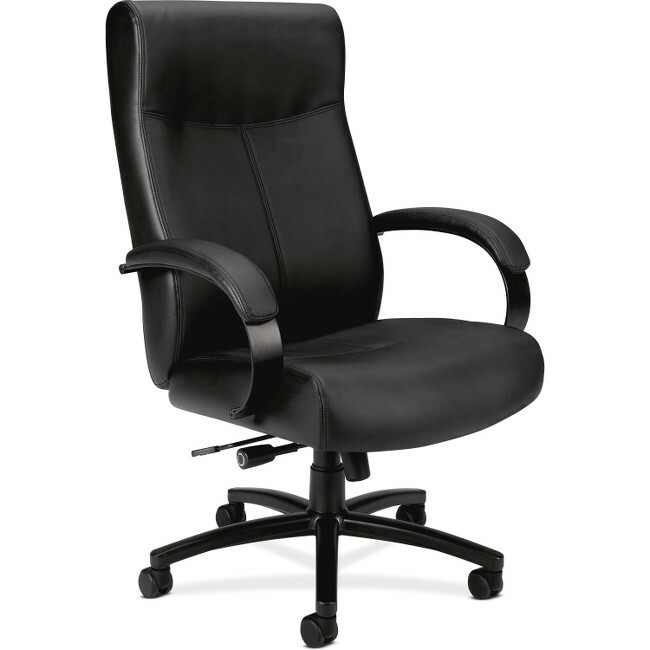 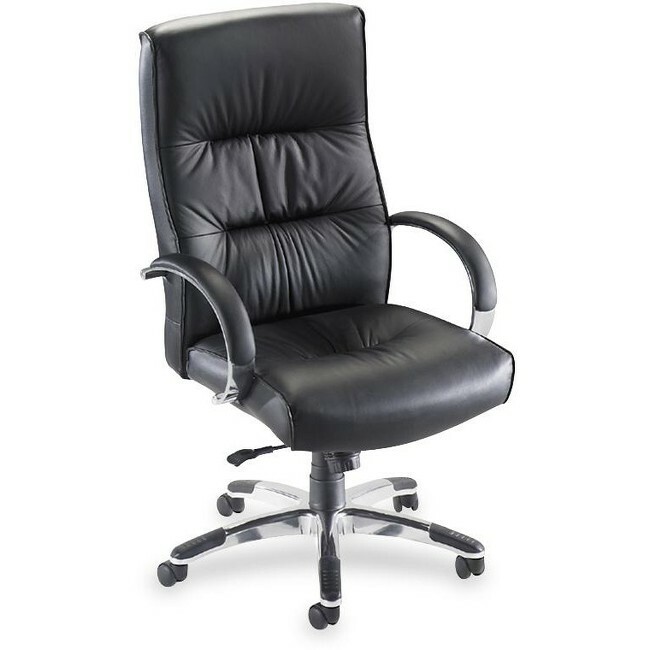 Executive high-back chair offers a fully upholstered design with black, split leather for a rich classic look. 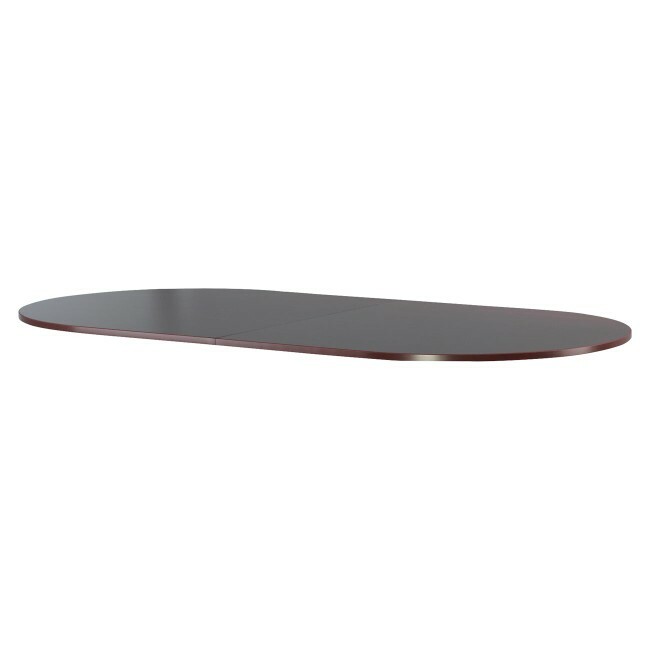 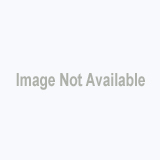 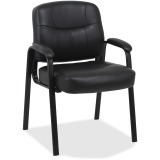 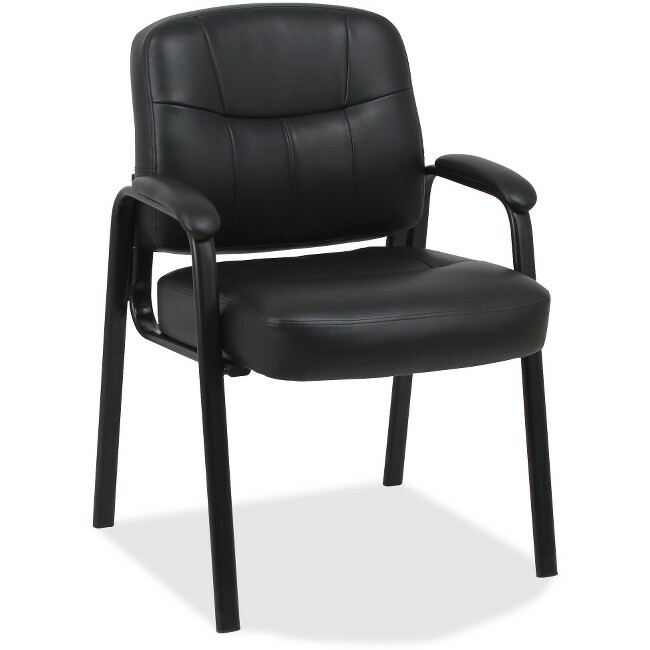 Black frame has stylish open loop arms and five-star nylon base with casters for mobility. 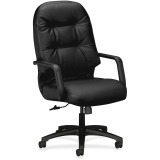 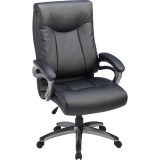 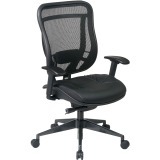 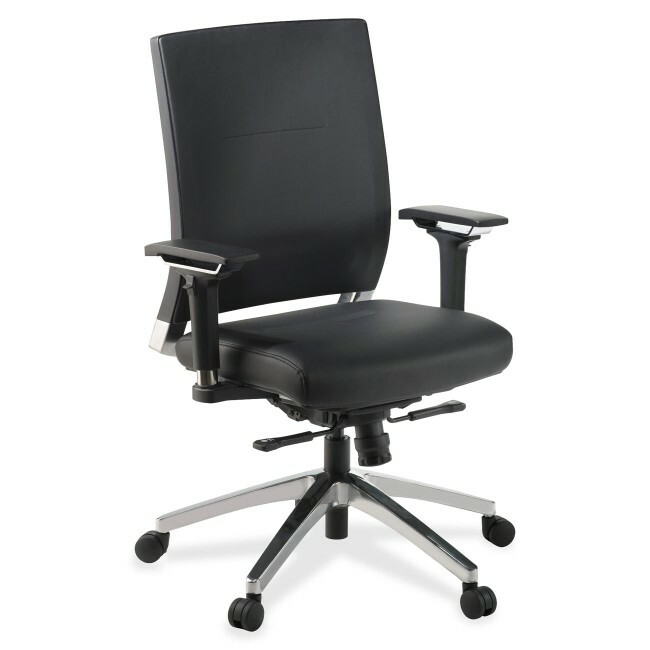 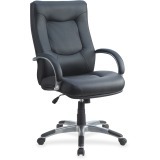 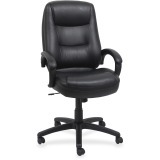 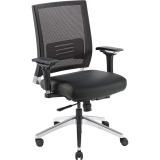 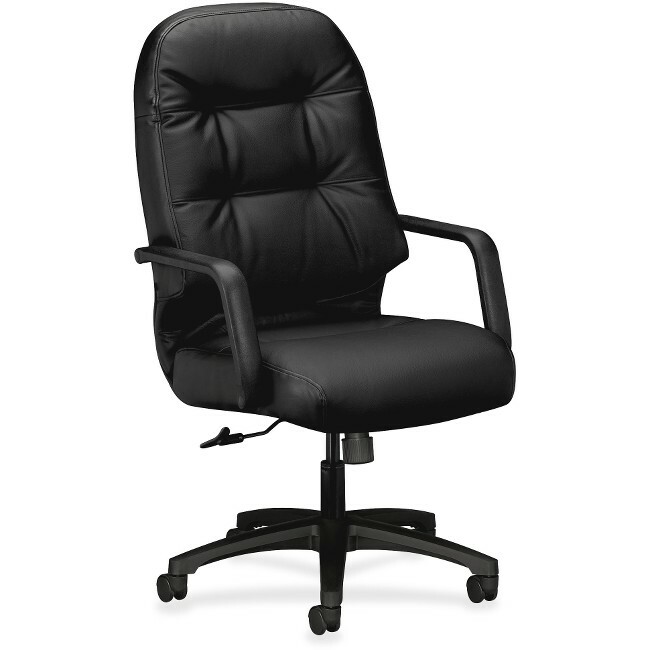 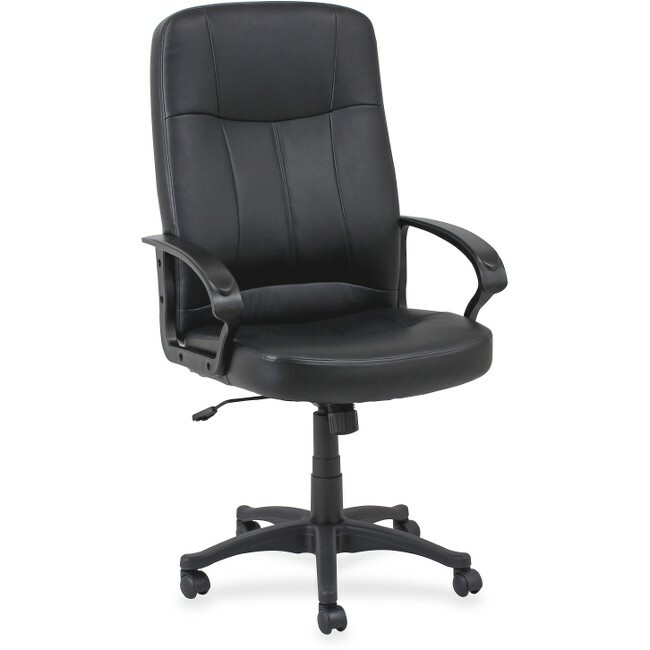 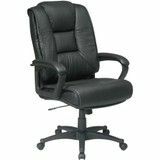 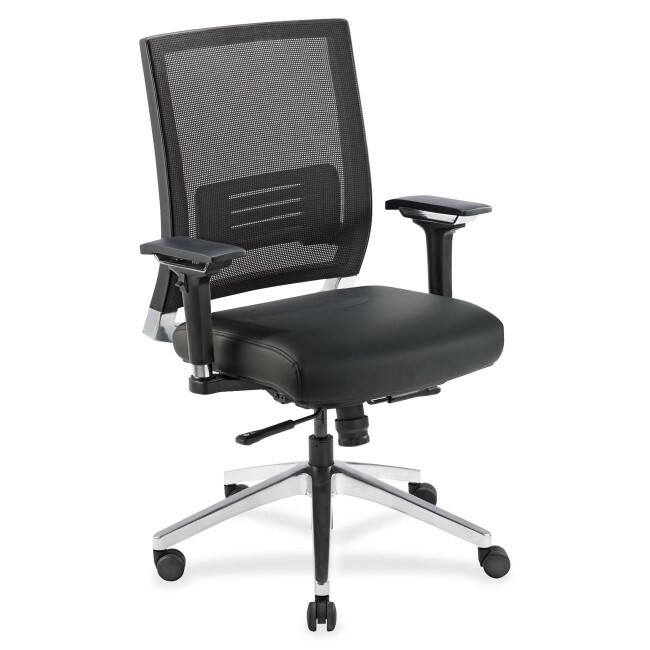 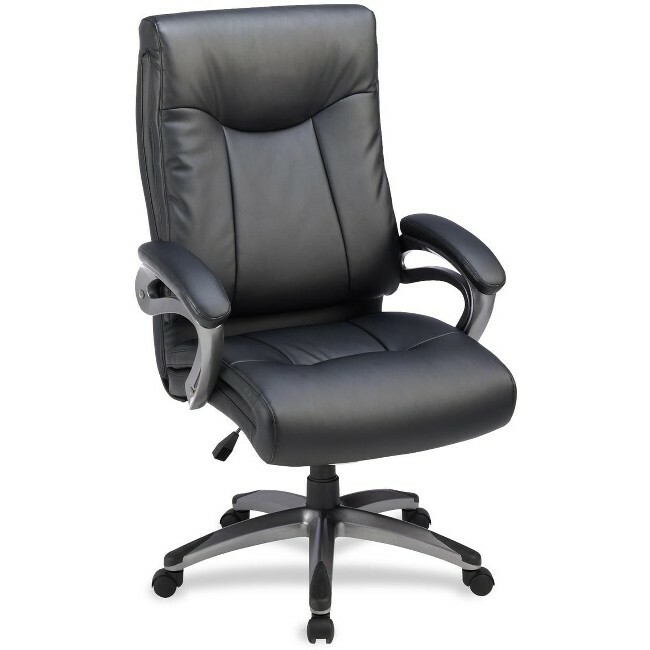 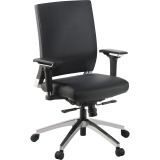 Functions include pneumatic seat-height adjustment from 17-3/4" to 21-1/4", 360-degree swivel, tilt, and tilt tension. High-back chair meets the CA117 fire-retardant standard.